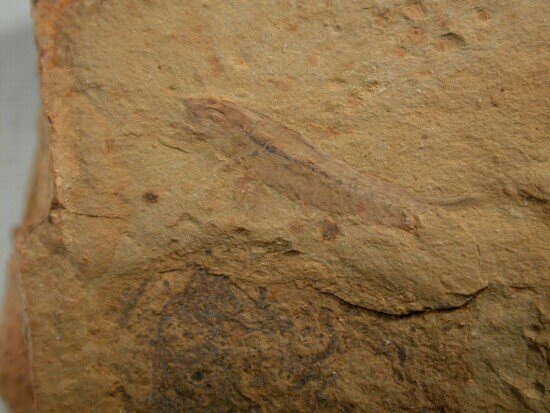 Description: This unusual arthropod is known as Leanchoilia. 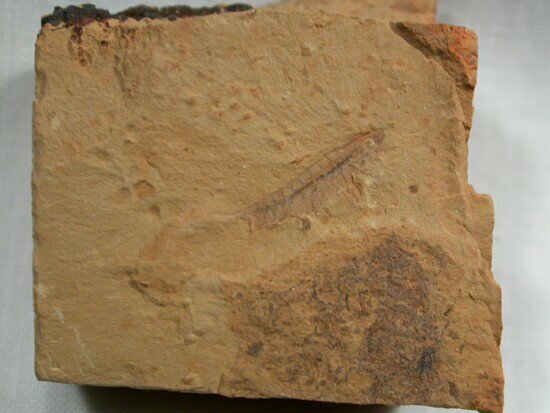 The taxon is known from a number of locations The diversity of soft-tissue fossils is astonishing: algae, medusiforms, sponges, priapulids, annelid-like worms, echinoderms, arthropods (including trilobites), hemichordates, chordates, and the first agnathan fish make up just a small fraction of the total. Numerous problematic forms are known as well, some of which may have represented failed attempts at diversity that did not persist to the present day. 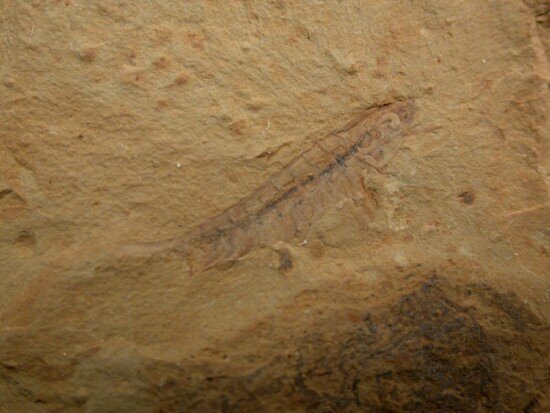 This specimen is a member of the “great appendage arthropods” known as the opabinids after Opabinia from the Burgess Shale Fauna. Other members from Chengjiang are Jianfengia and Alalcomenaeus (see my other offerings for examples). The exceptional detail of the appendages are readily apparent in this fine specimen, and are indicative of the fact that this was a strong swimmer. 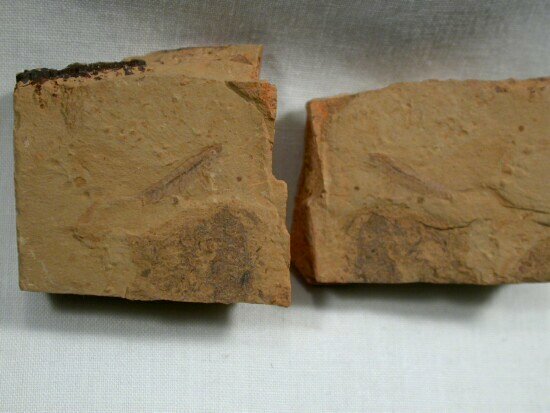 This is an exceptional juvenile specimen, preserved here as a part/counterpart pair.